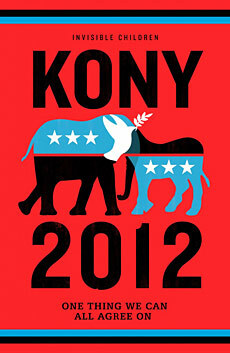 The big social media story of the year so far has been Invisible Children’s 30-minute film on Joseph Kony. I mean, you just couldn’t get away from it last week — 75 million views on YouTube and counting. I was fascinated, not so much by the video, which I agree was beautifully produced, but by the amount of conversation it generated. So I talked to a few of my colleagues in the nonprofit world, all powerhouse professionals, to get their take on the video and the cultural hubbub that ensued. Yes, the story is complicated. But with the expert talent at their disposal, I have a hard time believing Invisible Children couldn’t have given a sense of history by date-stamping the different interviews and so on. How much storytelling is too much storytelling? 2Kami Watson Huyse raised an interesting point: “It was clear to me that this video was a storytelling exercise, and stories by definition are personal and take a particular point of view. I was more concerned with his use of his own son’s reaction as part of the story. While I’m not a parent, I would imagine this would resonate with many of you who are. We’ve seen time and time again that good stories are those are easy to understand and that pull on your heartstrings. But do you really have to bring your kids into it?